Around two years ago, while searching for a rice pilaf recipe on Google, I stumbled across chef Jenn Segal’s website, Once Upon a Chef. Thereafter, I spent a full two hours perusing the wide array of recipes – from Chinese dishes to standard Italian classics to delectable desserts – and I have cooked a number of Segal’s recipes, which are all foolproof. A classically trained chef from the Washington D.C. area, who also lived and cooked in France and once worked at the renowned L’Auberge Chez Francois, Segal’s philosophy centers around the easy access, culinary joy – and above all – diverse and delicious tastes of food. 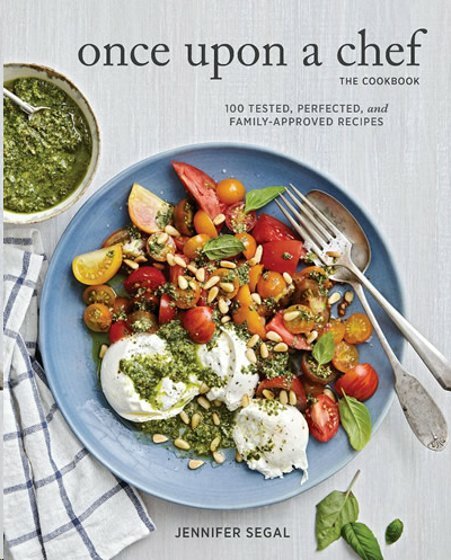 In her cookbook (also named Once Upon a Chef), published in April 2018 to much acclaim, foodies can discover 100 easy-to-follow, family-friendly recipes that won’t break the bank. I recently interviewed Segal about her cooking career, her blog and cookbook, and all things culinary-related. What inspired you to become a chef? Was this a childhood ambition? You’d think that I grew up in the kitchen tied to my mother’s apron strings. That was definitely not the case! I was a child of the 1970s, and my mom was that “supermom” who did it all. Somehow, she managed to raise two daughters, keep a clean, happy house, and run a successful company. But when it came to cooking, she was not interested. Dinnertime was a stressful chore — a “gotta do” rather than a “love to do.” But, funnily enough, my mom is the person who led me to a career as a chef. From the time I was very young, she always encouraged me to pursue something I loved for my career — all it took was going off to college and spending a semester abroad in France for me to figure out that food was it. In Tours, France, I lived with a French family and my host mother, Martine, loved to cook. Her kitchen was always bustling with activity: a roast chicken sputtering in the oven, a whistling teapot, or apples and caramel sizzling on the stove. Martine taught me how to cook and speak French at the same time. We made simple things, like vinaigrette, crêpes, and her specialty, tarte tatin, the classic French upside-down caramelized apple cake. As a farewell gift, Martine gave me a French cookbook called Les Recettes Faciles. When I got back to Washington, DC, while my friends were busy studying and bar-hopping, I wandered around Georgetown’s gourmet markets and cooked my way through the book, despite the fact that I lived in a tiny studio apartment with a closet-sized kitchen. I spent the next year trying to scheme a way to return to France, even as my parents made it abundantly clear that they weren’t going to subsidize any more of my adventures. Resourceful (read: clueless) youngster that I was, I signed up to work as a summer au pair in Paris. There was a small stipend, and I got to work with kids and live in Paris. The au pair experience was an all-too-early taste of motherhood for sure, but the job did have one thing going for it: Every morning, after I dropped the kids off at their activities, my host mother, Valerie — another avid cook — would send me from block to block to pick up meats from the boucherie, fresh baguettes from the boulangerie, and seasonal produce from the open-air markets. I also spent my evenings helping Valerie in the kitchen. Before the summer was over, I learned how to cook, eat, and entertain the Parisian way. After graduating from college, I spent one year working in a mindless office job. One year of cubicle living was more than enough for me to realize that I had to follow my heart and go to culinary school. Who are some of your favorite chefs? There are many, but the cookbooks I cherish most come from Dorie Greenspan, Ina Garten, Nigella Lawson, David Lebovitz, Anne Burrell, Nick Malgieri, and Joanne Chang. How did the cookbook come about? How long did the start-to-finish process take? I worked in the restaurant business in my20s, but after getting married and having kids, I left the industry to be a stay-at-home mom. Eventually, when my youngest started kindergarten, I got the itch to go back to work and to start cooking more than just buttered noodles and chicken nuggets. I had always dreamed of writing a cookbook – and it seemed like a great way to work from home and raise my kids -- so I wrote a cookbook proposal. Unfortunately, I quickly realized that I had zero chance of getting published as an unknown. I decided to start a food blog instead. It seemed like a great way to hone my recipe development skills and also get myself “out there.” And the best part was that there were no barriers to entry. I came up with the name “Once Upon a Chef,” registered my domain, and began posting recipes every week. Eventually, I forgot about the book and the blog became my passion. But still lurking in the back of my mind was that dream to write a cookbook with beautiful photos and stories. Six years into blogging, I got an out-of-the-blue email from a literary agent who asked if I was interested in developing a cookbook. I was thrilled! From there, the book took exactly three years to bring to market. 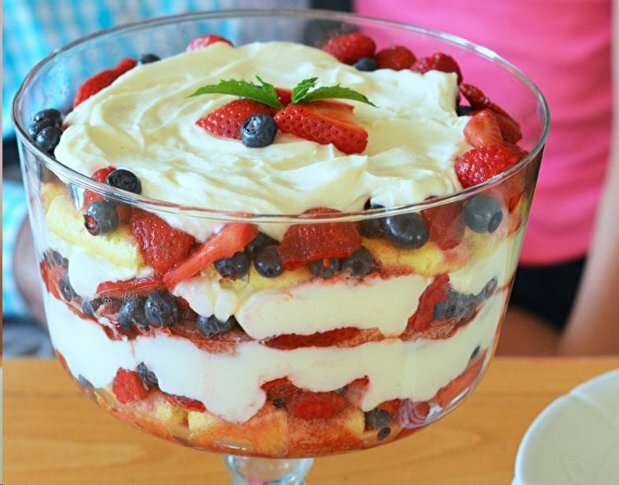 What are some of your all-time favorite foods/dishes to cook and eat? I often spend all day in the kitchen testing recipes, so when it comes time to eat, I love simple things like grilled cheese – but it has to be made with good bread and Gruyère. Are there any cookbooks that are staples in your library? See my answer above above, but I am also a big fan of Cooks Illustrated – a wonderful resource for all things cooking-related. What is your background? You grew up in the D.C. area, but where did you attend school/university? I have spent my whole life in the D.C. area. I grew up in Reston, VA; attended George Washington University in DC; went to culinary school at L’Academie de Cuisine in MD; and now live in Potomac, MD. Which restaurants have you worked for? My first cooking job was at L’Auberge Chez Francois in Great Falls, VA. From there, I went to Sam & Harry’s – a fine dining steakhouse chain that also included The Caucus Room and Music City Roadhouse. 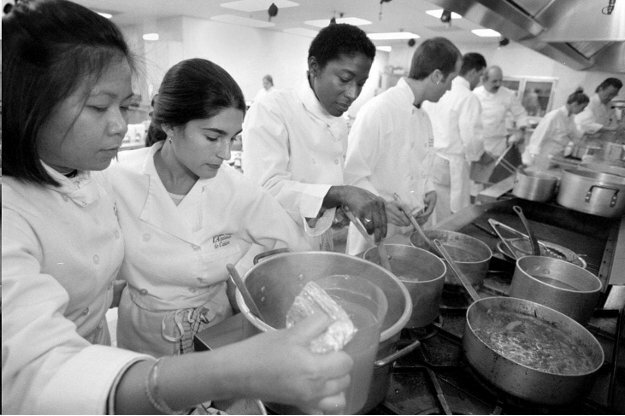 I worked for a restaurant PR firm as well, so I had the opportunity to work with many top chefs and restaurants in DC. Do you believe that food TV has helped Americans develop a more diverse taste for food and other cuisines? I suppose so but, to be honest, I don’t really watch much food TV. That said, I did watch Salt, Fat, Acid, Heat on Netflix and it’s wonderful. What is your favorite foodie/culinary city (a) in the U.S., and (b) in other parts of the world? Of the places I’ve been, I’d have to say L.A. and Paris – but there are still so many places I’d love to go. Tara Taghizadeh is the founding editor & publisher of Highbrow Magazine.